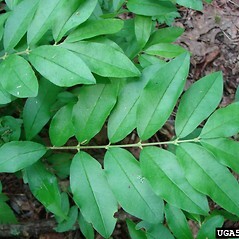 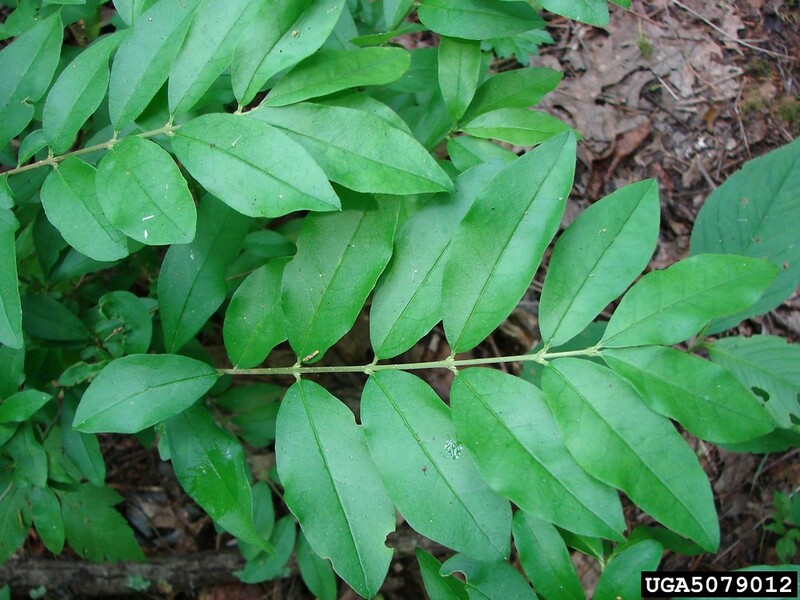 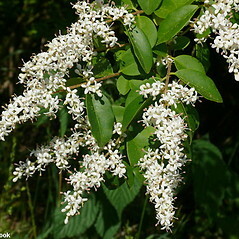 Chinese privet is, true to its common name, introduced from China. 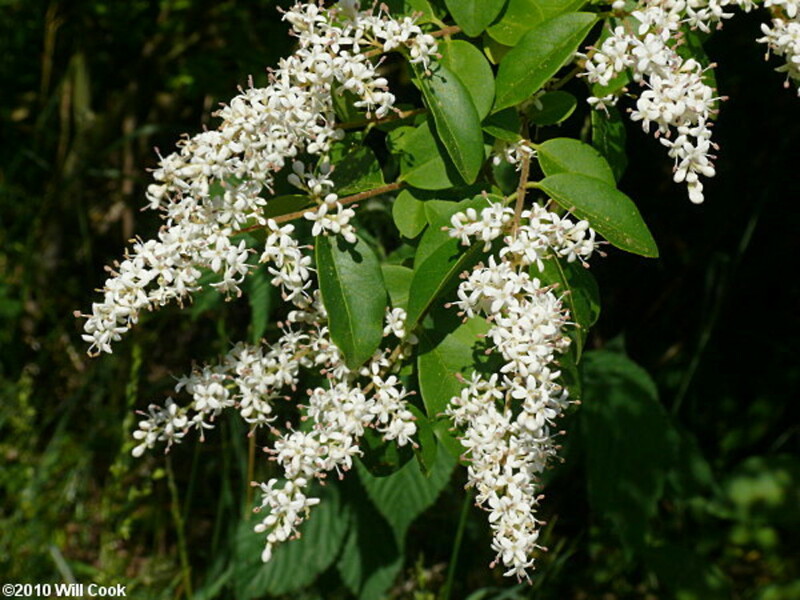 It is a common garden escape in the southeast U. S. (where it is regarded as invasive), and reaches the northern edge of its range in Massachusetts. 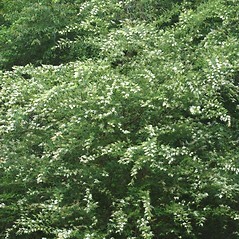 It produces masses of small, white, tubular flowers, which mature into bluish berries. 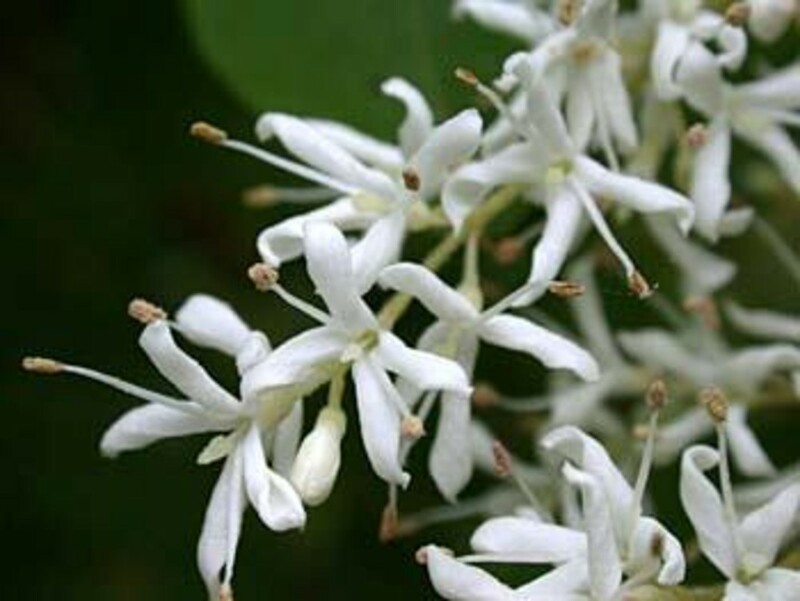 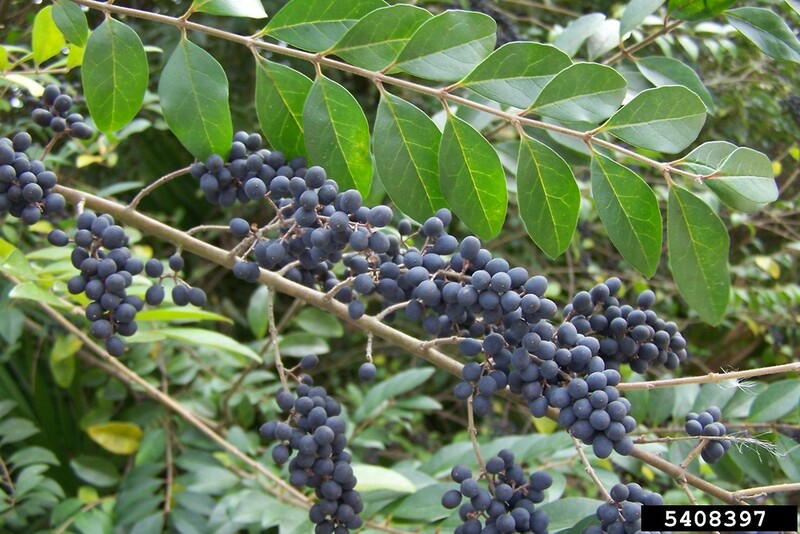 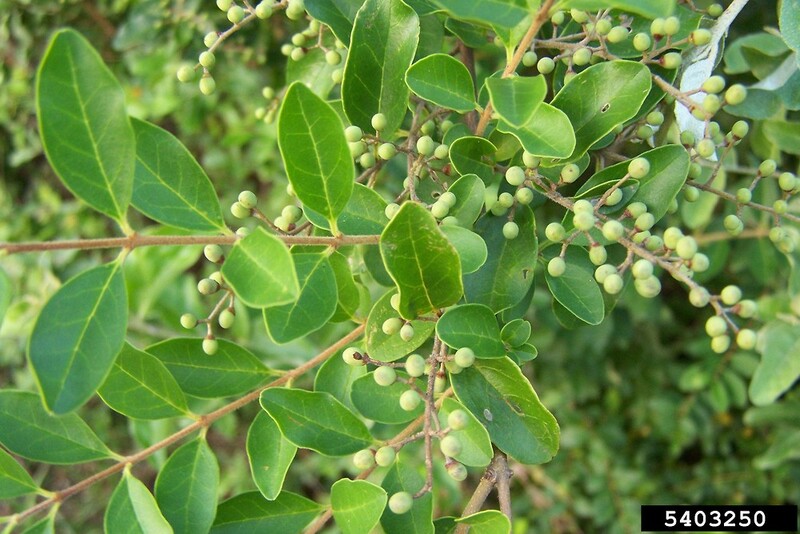 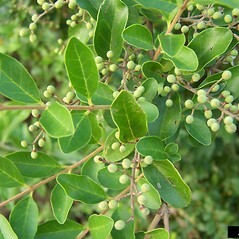 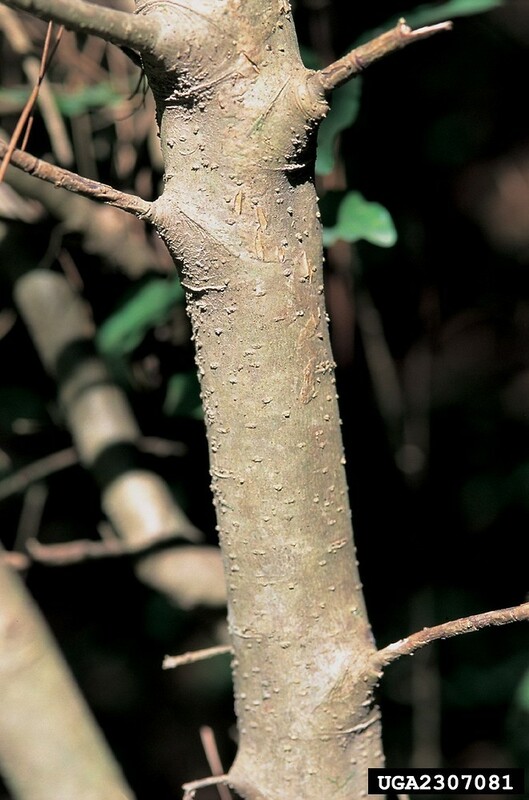 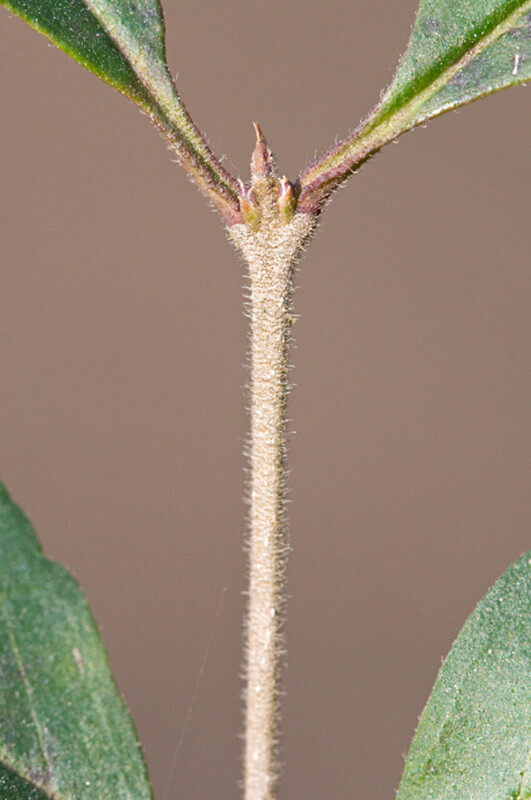 Its hairy leaves and branches distinguish it from common privet (Ligustrum vulgare). 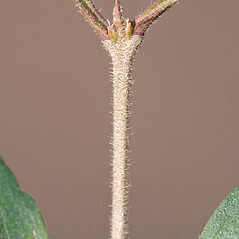 basal, connate portion of corolla 5–8 mm long, mostly 1.5–3 times as long as the lobes, evidently exserted from calyx, anthers 2–3 mm long, and pedicels mostly 0.5–2 mm long (vs. L. sinense, with the basal, connate portion of corolla 2.5–3 mm long, slightly shorter to approximately as long as the lobes, usually barely exserted from calyx, anthers 1–2 mm long, and pedicels 1–5 mm long). 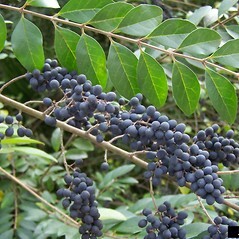 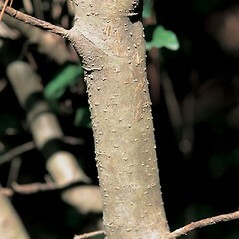 Chinese privet. 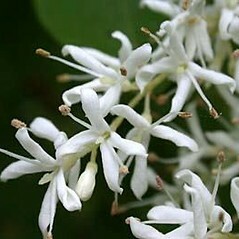 Ligustrum villosum May • CT, MA, RI. 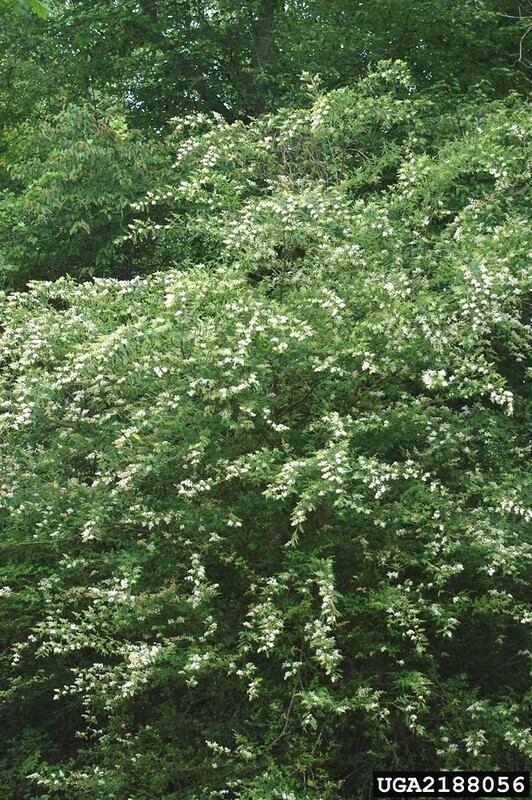 Roadsides, forest edges and fragments, areas of habitation.